This game was developed by Beep Industries in 2006. 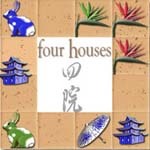 The object of this game is bring order to the four houses by creating lines of matching shapes, colors, and numbers of objects to earn coins. 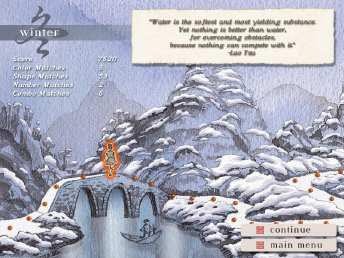 The game proceeds from autumn, to winter, to spring and summer. 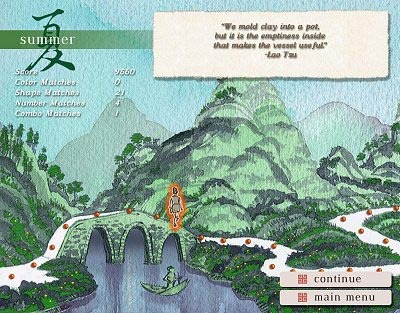 Our calligraphy Hui-Jung had provided all the Chinese calligraphy works used in this game. Here are some screen shoots of how the calligraphy was used in the game. This game is currently download-able at Yahoo! Games. 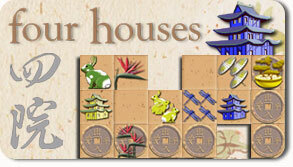 All logos, artwork, creations, designs found in Asian Brush Art site are the property of Asian Brush Art.